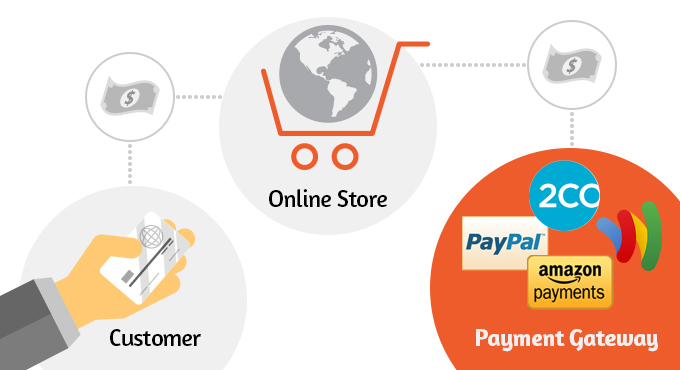 For those who own a Magento or any other e-commerce website, having a suitable payment gateway is really essential. This web-based service is an important piece of the online transaction puzzle that allows merchants to accept credit card payments online. The main job of the payment gateway is collection and encryption of sensitive customer information, such as credit card numbers, expiration dates etc., and authorization of credit card payments made by customers. Online payment gateways work by providing a secure, integral link between a web shop server and a bank. When customers make purchases with credit or debit cards, they provide their pertinent data. The gateway takes the submitted data and presents it to the processing bank. The bank replies with a response; either accepted or declined. This response is transferred back to the server by the looking payment gateway when the corresponding message is displayed to the customer. What should you consider while searching for a payment gateway? Magento comes with a series of integrated secure payment gateways that can be activated by entering some data that you can acquire from your provider. Anyway, the first thing to do is to define what markets you are going to serve and what payment methods and providers will work best in those markets. Apart from the above listed prominent gateway providers, there are many other excellent payment gateways for Magento out there that can be integrated with your online shop by various extensions available on Magento Marketplace or a custom extension coded by a Magento development company, if you are using an existing payment gateway that is not supported by Magento. Some payment gateways are international – cover many countries and support multiple currencies when others concentrate on specific regions like Europe or Asia. Which one to choose depends on your business needs and your target audience. Let’s have a look at some of the most popular payment gateway providers. Invest some time into research what payment methods and providers are preferred in your markets. This investment will pay for itself in the long run. It’s also not a bad idea to ask directly your customers what options are most suitable for them. One of the most popular and top-tier payment acquirer that constantly works on its services improvement. It has more than 153 million accounts worldwide and is available in 190 markets, 24 currencies that make it possible to pay across different locations, currencies, and languages. According to companies statistics, 72% of US online shoppers have a PayPal account. Authorize.net is unbelievably popular payment gateway after it went primetime in 1996. More than 400 000 merchants have chosen services of this company. Since then, the service provider has already accommodated billions of transactions. Its annual transaction volume is 100+ billion. Fee: 49 $ (setup) + – 25$ (monthly gateway) + 0,1$ (per transaction). Amazon offers a flexible and secure gateway to their merchants, where the products are added to the shopping cart and online customers can checkout with their Amazon account. It is one of the most popular payment services in the world, which gives global buyers localized payment options, and supports transactions in 196 countries through 8 payment methods, 87 currencies and 15 languages. Over 400,000 businesses worldwide trust this payment management company to process online payments, streamline fraud management, and simplify payment security. The company has its main office in Foster City, California, with offices throughout Asia, Europe, Latin America, the Middle East and Africa, and the United States. Fee: To find out about Cybersource’s pricing, get in touch with the company. Braintree is an American company that enables merchants to accept online payments without the need for a merchant bank. Entrepreneurs in more than 40 countries across North America, Europe and Australia can accept payments in more than 130 currencies using Braintree. Skrill is now one of world’s leading digital payments companies, with the headquarter in London and offices throughout Europe and the USA. Over 36 million account holders in 200 countries worldwide already trust Skrill to carry out their transactions. Ingenico payment service (formerly Ogone) is a payment solution provider that offers its services in payment processing, mobile payments, security and fraud protection, multi-currency services to more than thirty-five countries, mainly in Europe. Fee: To get an offer, please contact the company. DIBS Payment Services is the leading independent payment provider in the Nordic countries. The company handles more than 13,000 customer transactions daily in 17 countries and provides more than 40 different payment options. Fee: To find out about the pricing, please contact the company. It is one of the leading payment processors in Europe,. The company offers small and medium sized business solutions, as well as corporate solutions. Apart from the standard payment gateway options like fraud detection, local transfers, and others, WorldPay also offers banking services. Fee: Pricing varies depending on the kind of business and transactions processed. Check pricing on the company’s website. Klarna is one of Europe’s fastest growing companies based in Sweden. About 20% of all e-commerce sales in Sweden goes through Klarna. Klarna currently serve 25 million consumers and work with 45 000 merchants in 16 countries including Sweden, Norway, Denmark, Finland, Germany and the Netherlands etc. Every day more than 200,000 transactions are made using Klarna Group. Fee: You can require an offer from the company. It’s the second largest and fastest growing payment gateway provider in Denmark, and service more than 10000 customers across Europe. It processes more than 1 000 000 payments every month. PAYONE is a leading payment service provider in Germany. It is directly connected to more than 50 banks, acquiring partners and payment systems and has more than 2000 active clients. It provides payment for more than 20 national and international payment methods with an integrated risk management to minimise payment defaults and fraud. Fee: To get information on fees, please contact the provider. Founded in 2012 PAYMILL is a fast growing company what mission is to deliver the easiest payment experience for Europe. This payment gateway provider allows merchants to reach a global market by accepting payments from around the world and in 100 currencies. Novalnet AG is a Germany-based payment gateway provider that offers online payment solutions for online merchants worldwide. Fee: For more information please contact the company. It is the UK’s and Ireland’s largest independent payment service provider, that processes millions of secure payments every month for over 33,000 businesses. There are now 250 employees working across Europe, serving over 50,000 customers. 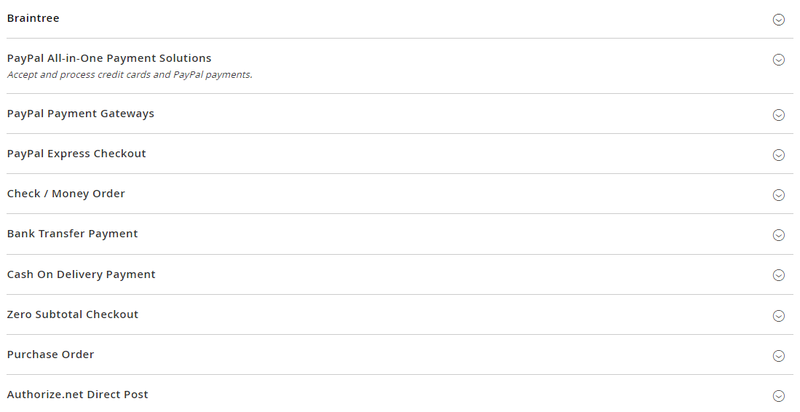 Fees: 3 pricing plans. For more information follow this link http://www.sagepay.co.uk/our-payment-solutions/online-payments/pricing. Payza is the leading online payment platform specialized in e-commerce processing. With over 9 million members, Payza offers its services in 197 countries and in 21 different currencies. Fee: 2.90 % + $0.30 each. Dwolla is an American e-commerce company that provides an online payments network. Dwolla is notable for its popularity among users of Bitcoin, a digitalcurrency. Pin Payments is Australia’s only all-in-one programmable multi-currency payment system. It helps Australian companies sell to their local customers as well to the global audience. SecurePay is Australia’s leading payment gateway. Since 1999, the company has specialised in payment-based technologies. SecurePay has earned the trust of more than 30,000 businesses and processes over $8 billion in payments every year. Fee: Different pricing plans (http://www.securepay.com.au/contact-us/pricing/). Which of the payment gateways to choose depends on your business needs, as well as on the required costs. With such a great variety of companies that provide payment services, you definitely find the one that completely meets your expectations. If you have any question conсerning payment gateways for Magento or are also interested in Magento implementation in general, extensions integration or Magento custom development, please feel free to contact us.